Rykodisc acquired the Tradition label, which was founded and financed by Guggenheim heiress Diane Hamilton in 1956 and specialized in folk and blues. I was tasked with developing the two different branding and packaging aesthetics. 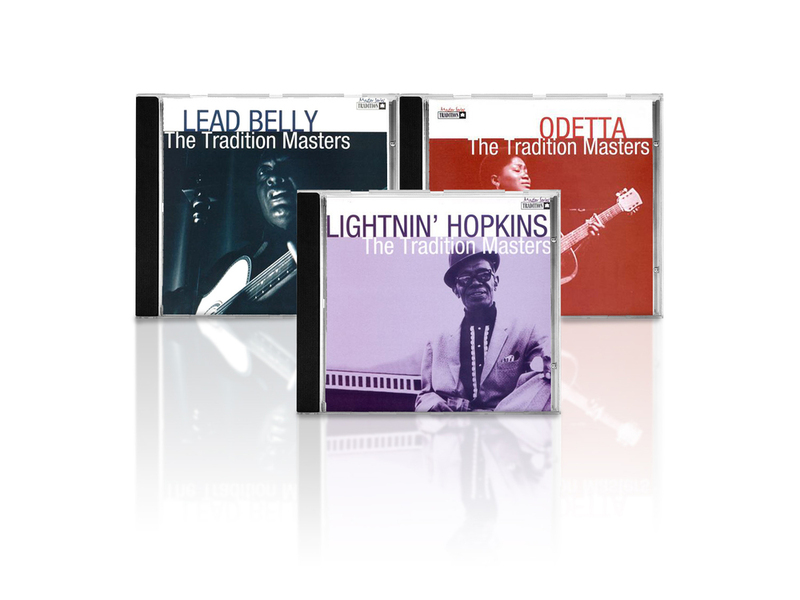 One was a budget line that was carried in discount stores, pharmacies and speed racks; the "Masters" series featured more refined packaging and extensive liner notes for collectors and purists.